The Carribean island of Aruba seceded from the Netherlands Antilles in 1986 and became a separate, autonomous member of the Kingdom of the Netherlands. 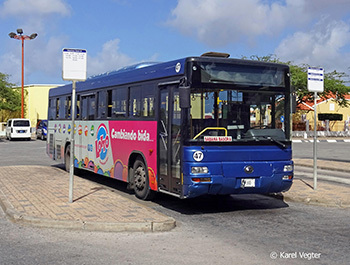 It has a public transport service operated by Arubus, a government company. Private buses are used for charters.